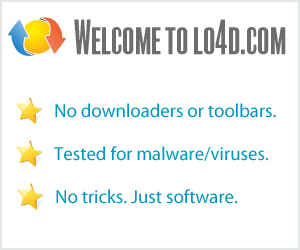 This page contains a listing of free software downloads that are available from Samsung. They may be shareware or freeware titles and are available for immediate download. Provides connectivity for Samsung devices for your PC. Samsung printer management software with advanced features, fax and scanning support for businesses. A fast DLNA media sharing service made by Samsung. Easily synchronize data between a Samsung phone or tablet and PC. Provides support for scanning from Samsung printers and scanners. Scan JPEG, eBook or PDF documents and upload them to an SNS. Downloads and installs the latest software updates for Samsung PCs. Samsung's media sharing experience for PC and Android. Watch content from your mobile and PC on your Samsung Smart TV. For those moving from a BlackBerry, LG or Nokia to Samsung Android. Remote desktop application for owners of Samsung phones. Official DLNA media streaming software for Samsung televisions. Official Samsung backup and recovery solution for notebook owners. Controls and adjusts options for Samsung PC systems. Replaces multiple printer drivers for Samsung devices with just one. Netbook and laptop software installer management program. Provides troubleshooting, updates and drivers for Samsung printers. Provides access to several features shipped with Samsung drives. Helps you migrate data to your Samsung SSD solid state drive. A simple Samsung tool to prevent charges of more than 80% with the goal of improving overall battery life and preserving battery health. Provides updates for most Samsung products keeping up-to-date. Modern software for Samsung phones enabling management and file transfer. Simple software by Samsung to convert image text to actual text. Scans your local area network to locate any connected scanners. Provides troubleshooting tools and analysis for Samsung printers. Automatic backup software for Samsung/Seagate devices. Color enhancement application for LCD monitors from Samsung. Provides system configuration controls for Samsung notebooks. Media library management software for use with Samsung phones. Catalogs your audio and video files for quick access and transfer MP3 files to portable Samsung music players. Legacy modem sharing application for older Samsung cell phones. A professional tool to manage your Samsung phone (Symbian Only). Hard drive format utility for use with Samsung NTFS and FAT32 drives. Connect to and configure wireless networks with printers. Provides support for Samsung E530, E720 and Z130 on Windows. Hard drive management utility for owners of Samsung SSD drives. Collects documents, photos and even web history for migration. Samsung webcam software for capturing video and taking pictures.